They text, send video, and do other data intensive things…..
AT & T is the first service carreir to restructure their billing to reflect the increase in data traffic…. Will it start the rush to the same things for other carriers? On Wednesday,AT&T pulled away the trough. And other wireless carriers could do the same. AT&T said it would no longer offer an unlimited data plan to new users of iPhones and other smartphones. The decision, industry analysts said, could signal a shift away from an era in which American wireless carriers sought to attract customers with simple, all-you-can-eat pricing plans for data. The trouble for AT&T was that a fraction of users — fewer than 2 percent — made such heavy use of the network that they slowed it down for everyone else. Starting on Monday, AT&T will offer tiered pricing. People will pay based on what they use, which the company says is fairer to everyone. Instead of paying $30 a month for unlimited data, new customers will be given the option of paying $15 a month for 200 megabytes, or $25 for 2 gigabytes, with added charges for greater use. AT&T estimates that the more expensive plan will cover 1,000 minutes of video, 400 song downloads or a million one-page e-mail messages. Those who want to keep their existing unlimited plans can do so. Analysts said AT&T’s move could have ripple effects on other wireless carriers and, eventually, a growing segment of the population that has begun gorging on data using their phones. “The free lunch for the ultra-heavy data user has been taken off the menu,” said Roger Entner, a telecommunications industry analyst with the Nielsen Company……. 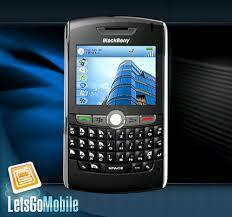 Blackberry cell phone sales level off……. Aren’t they supposed to be the top seller in the texting cell phone market? Research In Motion, the maker of the BlackBerry, reported fourth-quarter sales and shipments on Wednesday that missed analysts’ estimates and said that its profit margin would shrink this period. Sales in the period ended Feb. 27 rose 18 percent, to $4.08 billion, the company said in a statement. Analysts in a Bloomberg survey projected $4.31 billion on average. Research In Motion said it shipped 10.5 million devices, less than estimates from Citigroup and Goldman Sachs. The company spent 46 percent more on research last quarter as it develops devices that can replicate the success of the Apple iPhone or Droid fromMotorola. Research In Motion unveiled a revamped version of its touch-screen Storm in October, after the first version was criticized for awkward typing technology. Gross margin, a profitability measure, will be 44.5 percent in the quarter ending in May, down from 45.7 percent last quarter. People don’t really use all the stuff they put in cellphones……..
And I use it to make phone calls ……. I just the phone to make phone calls…it is just a phone…..right? Last week’s announcement of the Apple iPad, a tablet device that runs iPhone applications and will not be available until March, has already spurred the development of more, including a version of a drawing app called Brushes; Nova, a shooter game; and Apple’s own app called iBooks, which will connect to its new online e-bookstore. But that doesn’t mean that people will change their habits. Actually, it may just make them feel a tad more overwhelmed. The next generation of gadget users might prove different, but for now it is clear that people prefer fewer choices, and that they gravitate consistently toward the same small number of things that they like. Owners of iPhones are no different from cable TV subscribers with hundreds of channels to choose from who end up watching the same half-dozen. Cause I don’t need a iPhone….or Blackberry……. I just need a plain ole’ cell phone……..
People don't really use all the stuff they put in cellphones……..
Google rolls out the ‘Nexus One’ smartphone….. The Google phone comes equipped with a five-megapixel camera and a flash for taking shots in dark environments, for example; Apple‘s latest iPhone, the “3G S,” comes with a three-megapixel camera and no flash. The AOL-owned tech blog Engadget tried out the gadget and gave it a generally unimpressed write-up on Saturday. Good luck people…The iPhone and Blackberry are still the leaders of the pack……. Google rolls out the 'Nexus One' smartphone…..
Three ways to keep your iPod or iPhone charged when you can’t find a outlet….. He, he, he…..check this out from the LA Times……. I don’t own either…so I don’t have the problem……. Three ways to keep your iPod or iPhone charged when you can't find a outlet…..
How about a iPhone for 3 million bucks??? Made by Britsh designer Stuart Hughes….it sports a 22-karat gold frame, with 136 diamonds…..and it will even handle your phone calls…image that!